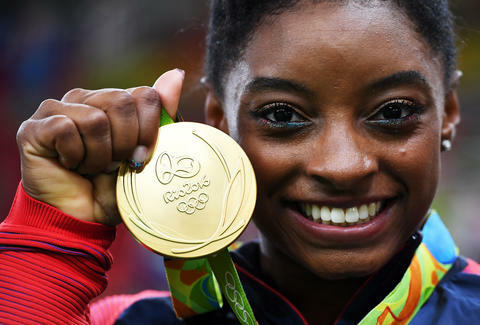 With a stunning floor exercise performance, Simone Biles led the American women’s gymnastics team to a huge gold medal victory at the Rio Olympics on Tuesday. So, when it comes to treating herself and staying cool under all the Olympics pressure, it's no surprise she turns to the food of champions: pepperoni pizza. “It doesn’t even matter if I don’t win a self-gold, after every meet I have pizza," she said. "Pepperoni pizza." It's worth noting, however, that Biles tends to eat a significantly lighter diet -- cereal and egg whites for breakfast, for example -- ahead of competitions, according to a report by Eater. Sure, you might not be able to defy the laws of physics with insane mid-air somersault tricks without hurting yourself, but just take comfort in knowing that you can destroy a pepperoni pizza just like a gold medal-winning Olympic athlete. Tony Merevick is Cities News Editor at Thrillist and celebrates almost every day of his life with pizza. Mmm. Send news tips to news@thrillist.com and follow him on Twitter @tonymerevick.